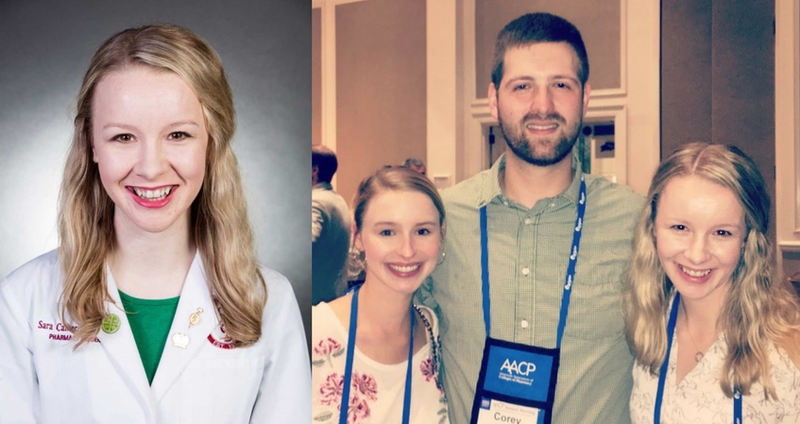 From considering being a writer or engineer to finally enrolling in pharmacy school, Sara Catherine Pearson’s path to pharmacy was not always straight. Read more about her journey below! I have always been attracted to the medical field because of the way it allows me to combine my love for science with my passion for helping others. However, I am not a huge fan of “blood and guts” at all! Pharmacy lets me really focus on using my math, science, and communication skills to help my patients while avoiding all the “blood and guts”—for the most part. Up until my senior year of high school I thought I wanted to be a writer, or a college professor, or maybe an engineer? I was a bit undecided, because I had so many interests it was hard to choose. As I mentioned, I was always attracted to the medical field but was not sure where I would fit in—and at that point, pharmacy was nowhere in the picture. At one point my physician actually encouraged me to consider pharmacy as a career. So during my senior year I shadowed a clinical pharmacist at my local hospital and I LOVED everything about it. I loved how involved the pharmacist was in decision making process, looking at labs and cultures, and ultimately helping the team decide on the best treatment plan for the patient. I want to be a clinical pharmacist, like the one I shadowed my senior year, and either work in a hospital or at an outpatient clinic. I haven’t picked a specialty like Pediatrics or Oncology, so right now I am leaning towards general adult medicine, that way I can see a little bit of everything! I also want to be a pharmacy faculty member, which will allow me to get to spend some time in the classroom teaching and still see patients as part of the medical team. Once I decided that I wanted to major in pharmacy, I began looking at universities that had a pre-pharmacy program and a school of pharmacy. My hope was to do my undergraduate work at the same university where I would go to pharmacy school. Luckily, The University of Louisiana at Monroe (ULM) had both of these programs and is actually the only state-funded pharmacy school in Louisiana. The pharmacist that I shadowed in high school, as well as many pharmacists in our community, are alumni and all had wonderful things to say about their experience at ULM. I will forever be glad I chose ULM for pharmacy school and would love to return as a faculty member one day! Did you lean on anyone for guidance to help you get to where you are now? Absolutely! My family and friends (especially those in pharmacy school) have played a major role in getting me to this final year of pharmacy school. It has been a long journey, which has required hard work and sacrifice, but their support has made all the difference. Now, in my final year of school I rely heavily on my faculty mentor for advice and encouragement as I pursue a career in academic pharmacy. First, I love learning about pharmacy! But what I love most about pharmacy school is all of the “extra” that complements my classroom education. 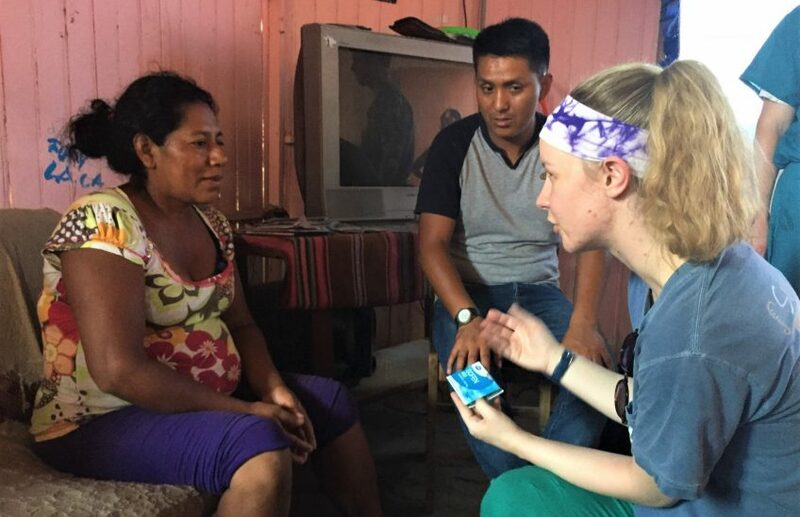 My time at ULM as provided me opportunities to attend conferences all across the country, actively participate in student organizations, be involved in a variety of research projects, and even travel to Peru for a medical mission trip. I love being involved in student organizations because it provides me the opportunity to get out in the community and participate in health fairs and other service projects. It brings me so much joy to sit down with patients at health fairs and talk to them about their medications or disease states and answer their questions. Even as a student, I truly feel like I am making a difference. Yes, I collaborate with my peers on a daily basis. During the first three years of school we worked closely together on group projects, patient cases, presentations, and in student organizations. Now in my final year of school, I not only collaborate with other pharmacy students in the clinic or hospital (currently I’m in the NICU), but with the rest of the medical team, including medical students, residents, nursing students, PA students, PT students, and so many more medical professionals! The best advice actually came from my mom when she told me, “If you never made a mistake, you wouldn’t be normal. No one is perfect. It is okay to not be the best at everything the first time you try it.” Fear of failure can hold us back from so many great opportunities! As a student I am constantly learning and improving my skills, so there are very few times that I do something perfectly on the first try. When I struggle with a new subject or skill, my mom’s advice always reminds me to look back at all of the progress I’ve made and continue to work hard and improve each day going forward. What advice would you give a high schooler that’s interested in pharmacy? If you are even a little interested in pharmacy, I would encourage you to look into shadowing a local pharmacist at a hospital, clinic, or community pharmacy in your area. There may be programs in your area for high school students to shadow or intern at local healthcare centers. Check with your guidance counselor about any available opportunities. One of the greatest aspects of pharmacy is that it is such a versatile field, the job possibilities are nearly endless!